NEW DELHI: A recent leak showing us the alleged retail box of the Samsung Galaxy S9 mentioned the device’s camera to feature something called as ‘Super Slow-mo’ functionality. While there is no clarity on what that exactly means, Samsung seems to have left a small hint on its own website. As spotted on the company’s semiconductor website, Samsung has described some of the features its new ISOCELL camera sensor will carry. 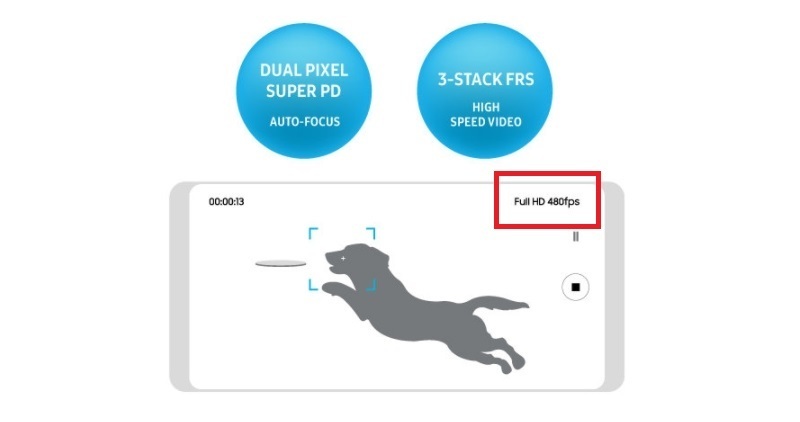 While nowhere it boldly mentions that the new sensor can shoot 480fps videos at Full-HD resolution, one of the images, demoing the auto-focus feature in high speed videos, it is clearly seen the on the corner of the handset’s screen “Full HD 480fps”, hinting what could possibly be coming to the Samsung Galaxy S9. The new ISOCELL Fast sensor is said to sport a 3-stack Fast Readout Sensor, which is likely the tech behind the sensor shooting 480fps video in full HD resolution. However, one of the key details missing out here is that for how long it can record a video with such settings. Also mentioned is that that new ISOCELL Bright sensors by Samsung sport a Tetracell technology, which “improves light sensitivity in low-light conditions by merging four neighbouring pixels to work as one big pixel.” Adding to this is the Smart WDR feature that captures an image in multiple exposures for greater detail in both bright and dark areas. Talking about the ISOCELL Slim sensors, Samsung mentions that these sensors are 0.9mm thin and are perfect for slim devices. As for the ISOCELL Dual, the South Korean tech firm lets users shift from one shooting mode to another seamlessly. While we are still a few weeks away from the launch of the Galaxy S9, some previous leaks and rumours have already some of the specifications. From what has been floating on the web, the Galaxy S9 is said to feature a 5.8-inch QHD+ AMOLED display, 12MP rear camera with apertures ranging from F/1.5 to F/2.4, 8MP front-facing camera, Qualcomm Snapdragon 845 processor, 4GB RAM and 64GB inbuilt storage.